Designed for sailing enthusiasts, the Corum Admirals Cup collection of watches is easily one of the most iconic timepieces in modern-day watch history. 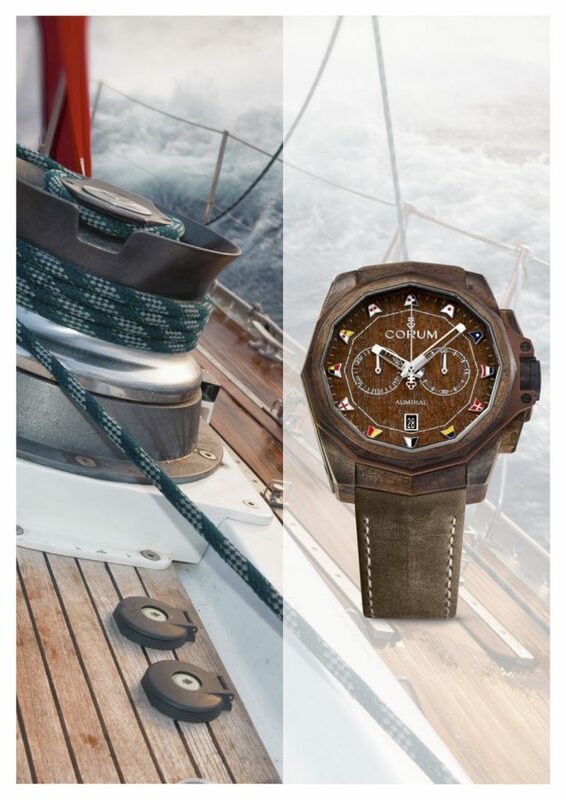 Now, the brand sails into a winning position with the new Admiral AC-One 45 Chronograph Bronze. The watch has all the earmarks of a nautical timepiece, with bronze case, in-house movement, Corum’s famous colored flags, a wood dial and more. This is one you won’t want to miss. To begin with: the bronze case. I am personally a big fan of bronze cases — ever since i saw the first Gerald Genta bronze Safari watch decades ago, I was hooked. So I am thrilled to see bronze back on the wrist again and the this new Admiral’s Cup AC-One Chronograph Bronze is a winner. It offers a bold yet chic look that is not too big, and that already has a nice patina look. But wait, there’s more. The 45mm case of thisCorum Admirals Cup AC-One Chronograph is crafted of bronze. The thing about raw bronze is that as it ages, it typically forms its own patina — often turning green and crusty. For this watch, though, Corum has developed a fully pre-patinated bronze case. Thanks to an exclusive treatment, not only does each bronze watch have its own unique patina, but also the highly pronounced maritime look will never turn green or deteriorate. The shades that emerge in the bronze case range from rich bronze hues to dark brown, chestnut and chocolate. The CO116 Automatic movement powers the Corum Admiral Cup AC-One Bronze Chronograph. 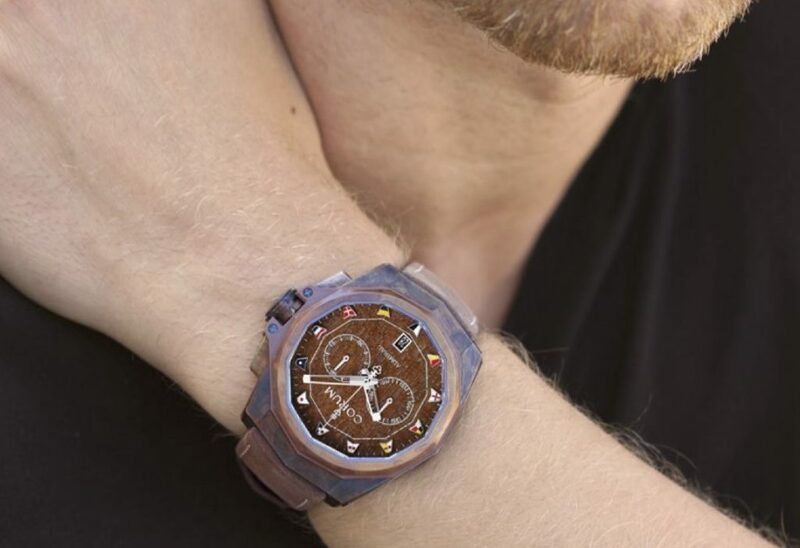 As if the bronze fully pre-patina case were not enough, in typical Corum style, the brand takes the artistic look of the Admiral AC-One 45 Chronograph Bronze to new heights with a rich genuine teak wood dial. The color of the teak wood — with vertical cut to resemble a ship’s teak deck — is finished to match the bronze case. What is really special here is the roughly hewn, almost weathered look of the dial. 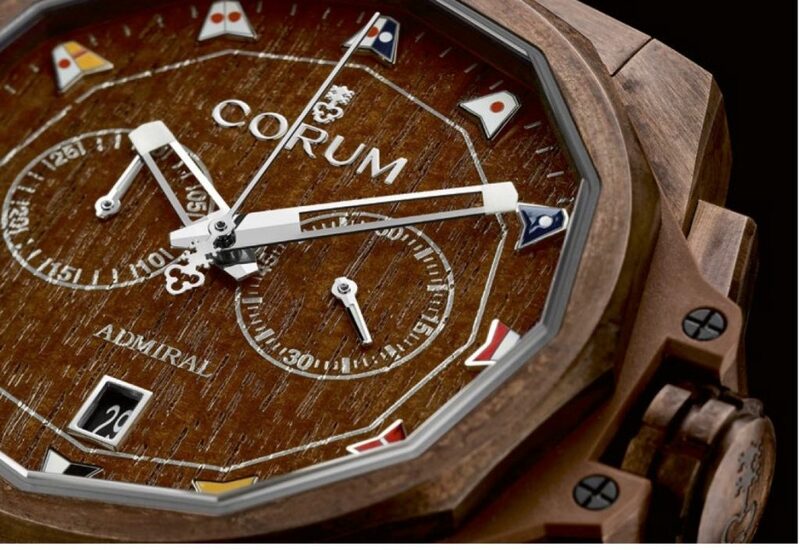 Contrasting with the center, the outer edge displays the 12 nautical pennants that are a signature of the Corum Admiral’s Cup. Skeletonized hands display the time without taking away any dial appeal. The watch offers hours, minutes and small seconds indication, as well as chronograph functions. Equipped with the CO 116 automatic chronograph caliber with 42 hours of power reserve, the watch is water resistant to 300 meters. It is finished with a brown leather strap that completes the look. I, personally, would have preferred a darker, richer colored brown strap with a slight texture in it, but the weathered look of this calfskin strap works. The best thing: the $9,500 retail price. 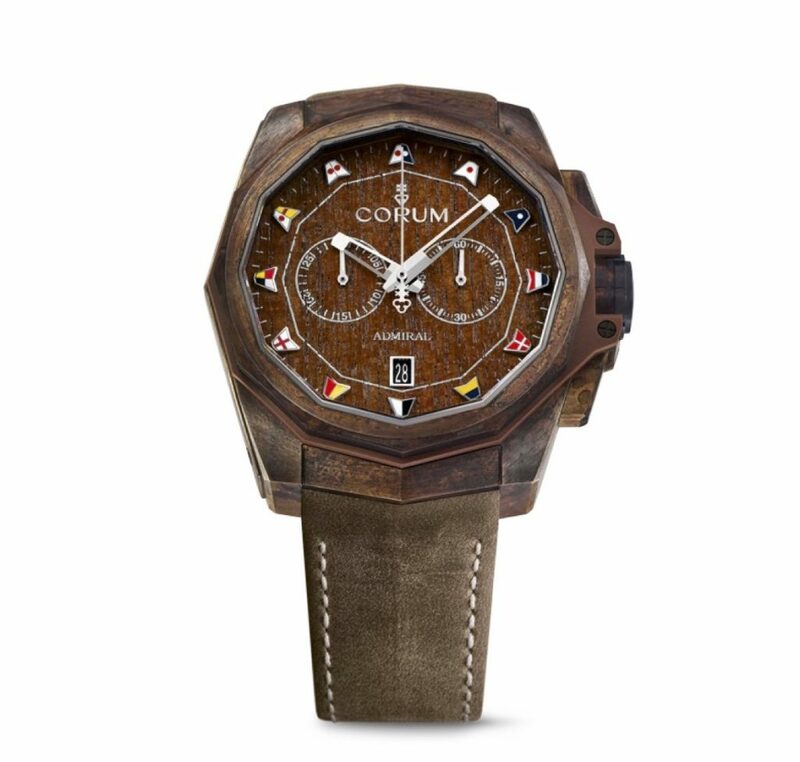 The dial of the Corum AC-One Bronze Chronograph is crafted of real teak wood and features nautical pennants as markers. 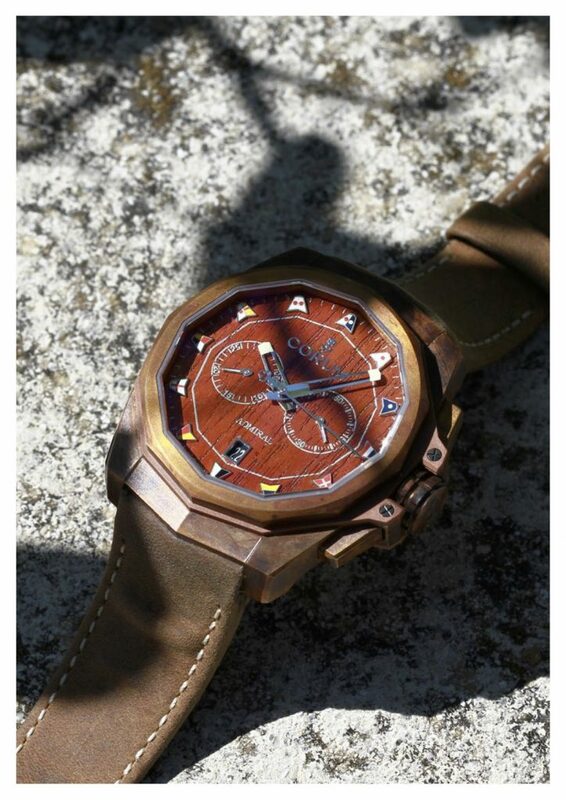 Designed for use on the water, this Corum Admiral AC-One Chronograph Bronze is water resistant to 300 meters.